Labour must be bold, confident, progressive and positive in everything it does. Worried about the poll news in the Herald today? We can’t pretend Labour will be back in power in Scotland soon. It’s also clear to me that Labour’s recovery shouldn’t be about right versus left, or rich versus poor. It must be about convincing everyone that social justice is in their interest. 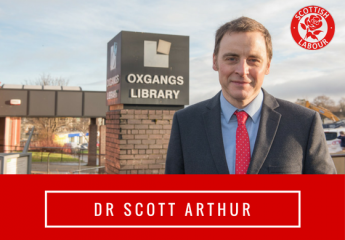 I am standing for Edinburgh’s Colinton-Fairmilehead Ward next year, so I know how important it is to win back votes from both the SNP and the Tories. We have to move beyond constitutional arguments by setting out our own position clearly and as one. As a party, we can’t back independence due to the damage it would do to public services. However, we need a clear and positive answer to it. It’s our job to set out the case for a form of devolution (inc empowering councils) that works for Scotland. For me, the starting point for that debate is Kezia’s speech on the need for a “New Act of Union” and a move towards federalism. We need to be clear about what we stand for. At every labour meeting I have attended our common cause has been clear, however, too often we struggle to communicate this to voters in a way that resonates. The 2016 manifesto was a huge step in the right direction which I hope we are able to build on. Above all, however, we need to be bold, confident, progressive and positive in everything we do. We must be proud about what we stand for as those values are Scotland’s values: by the strength of our common endeavour we achieve more than we achieve alone, so as to create for each of us the means to realise our true potential and for all of us a community in which power, wealth and opportunity are in the hands of the many not the few. ← Let’s make education in Scotland great again.